The Les Cheneaux area lies east of the Mackinac Bridge along the northern shore of Lake Huron. 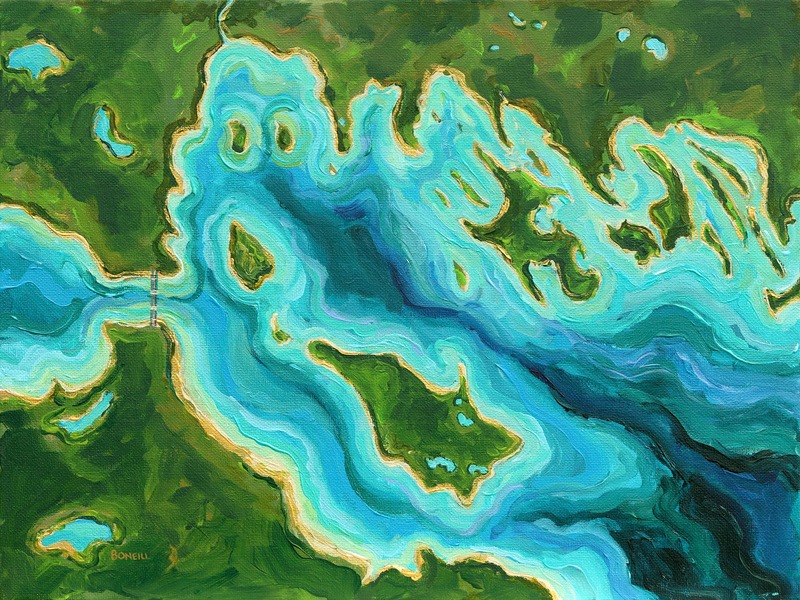 Thirty-six islands provide sheltered channels and bays within the Straits of Mackinac – a historic harbor area for boaters and explorers. Whispering forests with trails and pathways offer unparalleled year-round opportunities for vacations, day-trips, reunions and quiet breaks from city life. Cedarville and Hessel, historic UP port towns draw interest with marinas and quaint shops.